People with psoriasis are at a greater risk of developing chronic obstructive pulmonary disease (COPD) than people without it, recent research has found. Prior to the 2015 study there had been conflicting reports regarding COPD and psoriasis and if there is, in fact, a correlation between the two conditions. However, the new research revealed psoriasis patients are more likely to develop COPD, especially if their psoriasis is severe. The researchers, based out of China, examined studies spanning the past 30 years, involving over 13,000 people from around the world. They found the connection between COPD and psoriasis was unclear in these studies and thus began a meta-analysis of the data, intending to solidify the link between the two conditions. The study found that psoriasis and COPD are connected through their characterization as inflammatory diseases; the pain, redness and swelling seen in psoriasis leads to an increase in pro-inflammatory proteins in the body, which have also been found in the sputum of COPD patients. These same proteins have actually been used to develop antibodies in clinical trials targeting COPD and psoriasis separately, suggesting their link even further. 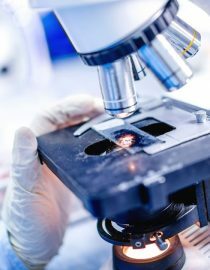 Through their analysis of studies published between January 1980 and December 2014, they were indeed able to solidify the connection between these two conditions, clearing up much uncertainty in previous COPD-psoriasis research. With these new findings the researchers hope preventative measures can be taken to reduce the risk of comorbidities, death, and even developing COPD in the first place. Furthermore, people with COPD and psoriasis may finally have some answers regarding their two conditions, smokers with psoriasis may feel more inclined to kick the habit, and further research can be done to better treat and prevent these conditions. Are You at Risk for These COPD Comorbidities? If you have COPD, you have elevated risks of developing COPD comorbidities, including anemia, GERD and congestive heart failure.